Essential Back to School Tips! Can you believe it's already August 1st? We sure can't, we thought we were missing a week on our calendars. Now that it's August, it's time to start preparing for the new school year! *Cue the collective groans from kids and cheers from parents* Here are a few easy tips to make the transition back to school a little bit easier. Get Organized- We all know what it's like to be rushing out the door, already late for school or work and suddenly somebody can't find their shoes. Small storage boxes underneath a stylish bench help you stay organized without wasting any space. We love this beautiful (and comfortable!) bench with a shoe rack beneath it, perfect for laundry or mud rooms! Also be sure to have a designated place to hang keys and backpacks each day so you can rush out of the house with ease. Organize Clothing- This is another tip to make mornings just a bit easier. Pick your (or your kiddos') outfits the night before so there are no fashion emergencies on busy mornings. Girard Homes' beautiful and spacious closets make it a cinch to see all of your options, while giving you enough space to seperate your outfits for the next morning. Our spacious closet at our new home for sale in The Gates community! Have a Designated School Work Area- It's harder and harder to avoid distractions and focus on work when you need to. Alleviate some of the difficulties with focusing by setting up a specific area in your home for kids to work at. It could be your dining room or your breakfast bar, but just be sure to create a distraction free zone! Our breakfast bar at our model home is the perfect space to finish up any school work! Moving can be exhausting. You're literally picking your entire life up and planting new roots. With all of the things you have to worry about when relocating, you're bound to need some help, so we've compiled a list of our favorite resources in the Columbia area for those who are moving to take advantage of. This way you can take (some of) the stress out of the process and enjoy your beautiful new home! Relocating In Columbia Magazine and Website: http://www.relocatingincolumbia.com/ This magazine is a wonderful and comprehensive guide to everything you can possibly need when moving to a new home. Be sure to check this magazine out as your first step to making the transition to your new home. Hire Movers: You might think you can do it alone, and maybe you can, but hiring movers to help you on the big day makes a world of a difference. You'll save time and your back by having a few extra hands around, and that pays for itself! We love Gaines Moving and Delivery, they're great guys and very professional, so give them a call at (573)-817-2792 when it comes time for you to move! Get to Know Your New Neighborhood: Columbia is a large town and it has SO much to offer. It can oftentimes feel like you're in a totally different town depending on where you are. There are more than 200 unique restaurants in CoMo, and plenty of boutiques and small businesses scattered around town that you might miss some of the best qualities of your new neighborhood. Be sure to check Yelp for suggestions for restaurants in different parts of town, and keep up with our Girard Homes blog to read about our favorite things to do in Mid-Missouri! Be Sure to Set Up Utilities and Internet: It would be a shame if you finally get to your new home, unpack everything and once you're ready to relax you realize you have no power or internet service! Many realtors will help take care of this for you (we do here at Girard Homes), but if not, be sure to contact the City of Columbia Water and Light office at (573) 874-7325 and the Boone Electric Cooperative at (573) 449-4181 so you can have everything all set for move-in day. Figure Out Where Your Closest Clinic and Post Office Are: You might have to go to a new quick care clinic or post office now that you're in a new part of town. There are two Hyvee Quick Care Clinics, one on Nifong Boulevard for those who live on the South side of town and one on Conley Road for those who live on the North side of town. You can also go to Providence Urgent Care, also on Nifong if you're near the Southwest side of town, or Brodway Urgent Care on Broadway Boulevard for those closer to the East side. Stock Up On Boxes: You can easily buy boxes from any packing and shipping store for a small fee, or you can run into Sam's Club or Walmart near the end of the day and ask them if they have any boxes they're willing to give away. You'll almost always need more boxes than you think you'll need, so you can never have too many! Mid-Summer blues got you feeling down? Do you feel like you're doing the same thing each evening are growing tired of your routine? Look no further than this delicious twist on a classic summer dessert! Celebrity Chef Ina Garten has shared her take on yummy summer S'mores and we can't wait to try this quick and easy treat! Place the coconut in a very large dry saute pan and cook over low heat for 15 to 20 minutes, tossing frequently, until lightly browned. Set aside. Meanwhile, combine the gelatin and 1/2 cup cold water in the bowl of an electric mixer fitted with the whisk attachment and allow to sit while you make the syrup. Combine the granulated sugar, corn syrup, salt, and 1/2 cup water in a small saucepan and cook over medium heat until the sugar dissolves. Raise the heat to high and cook until the syrup reaches 240 degrees on a candy thermometer. Remove from the heat. Sprinkle half the toasted coconut in an 8 x 12-inch nonmetal pan. Pour in the marshmallow batter and smooth the top of the mixture with damp hands. Sprinkle on the remaining toasted coconut. Allow to dry uncovered at room temperature overnight. Remove the marshmallows from the pan and cut into squares. Roll the sides of each piece carefully in confectioners’ sugar. For each s'more, thread a marshmallow onto a stick or skewer and toast it over an open flame. Sandwich the cooked marshmallow with a piece of chocolate between 2 halves of a graham cracker. You work so hard watering, fertilizing and tending to your garden all spring and now that you can kick back and enjoy all of your hard work, you notice that your garden is overrun by weeds! Don't fret. this helpful guide will help you identify and eliminate those pesky garden invaders! Crab grass looks quite similar to your regular grass and can appear in your lawn or your mulched garden in both sunny and shady conditions. This weed is extra tough and insidious, but it's not impossible to combat! Mulch, though not 100 percent of the time, helps to prevent crab grass growth, and spraying preventative herbicide is also incredibly helpful. If some crab grass does sprout though, pulling it by its roots is the most effective method of elimination. These might just be the prettiest weed we encounter but that doesn't make dandelions any less annoying! These frustrating flower wannabes can grow in the sun and the shade. Once mature, these yellow flowers turn into puffballs and though it's tempting to blow them off and make a wish, their seeds spread out and pave the way for even more weeds. It's a little bit harder to pull these up with your hands and get theit roots, so we suggest spraying a lawn-safe herbicide so as not to damage your grass. Purslane can actually be quite pretty as a succulent, but only when you want it around. These sneaky buggers thrive in dry, sunny areas and always seem to peek up in the cracks of sidewalks or driveways. Because their roots are often inaccessible, we find it best to spray purslane with a strong herbicide, you don't need to worry about it killing your grass if it's on your sidewalk. After a few days go back and check on your weeds, if they're shriveled up and dead, go ahead and pick them out now, but you may need to do another round of spraying. This is by far the worst weed. Known as "stickers" these nasty weeds have sharp, spiny thorns sticking out from its leaves. Canada thistle is resilient, it can grow in your lawn, in your garden, in mulched areas, in between concrete, basically anywhere. Beware of this prickly weed because it hurts! Since the leaves are sharp, you may want to stick to spraying an herbicide, but, unfortunately, we oftentimes find that these stickers are unfazed by many different types of herbicide. You may find that you'd rather just throw on a thick pair of gloves and rip these up from their roots. Summer is officially in full swing! As we sit here in our office trying to fight those mid-week blues, naturally we began to discuss our plans for dinner. When we couldn't think of anything we can all cook other than spaghetti, we figured it was time to look up some more recipes. So, after a few calls to our moms and culinary genius friends, we think we've come up with an easy and delicious summer meal, sure to please everyone! Our marketing intern has had this same salad for lunch the past few days and swears by it (she's also an extremely picky-eater, so if she can enjoy it, anyone can). It's so easy to make! 1. layer the bottom of a bowl with some romaine lettuce, sprinkle with kosher salt and pepper. 4. Add a layer of your favorite veggies. We love peas, carrots, tomatoes and cucumber but you can add whatever you like! 5. Chop up some bacon and sprinkle it in (our marketing intern suggests mixing up your protein, grilled salmon or tofu are also delicious! Now you have a delicious, colorful salad to enjoy! A classic summer staple, we love shish kabobs because you can really get creative with them. You can mix and match your protein, veggies and sauces for a new meal each time. 1. Place your protein and half of your marinade in a resealable bag in the fridge over night. For our marinade we use teriyaki sauce with 2 teaspoons of garlic powder, 2 teaspoons of ground ginger, and half a cup of soy sauce. 2. On metal or soaked wooden skewers (it’s VERY important to soak your wooden skewers in water BEFORE putting them on the grill!!) , attach vegetables, protein, and then pineapple. We use red and green peppers, onion, and zucchini. 3. Grill, covered, over medium heat until vegetables are tender and protein reaches desired doneness, 12-15 minutes, turning occasionally, with tongs.. very carefully. 4. In a small saucepan, bring the rest of your marinade to a boil, stirring occasionally; cook 1 minute. Remove vegetables, pineapple and beef from skewers before serving. Serve with sauce and enjoy! This is our absolute favorite! We love how delicious it is, and we can convince ourselves that it’s healthy with all of the fruit on top. 2. Your sauce will be a package of cream cheese, 1/3 cup of sugar (the sugar isn’t entirely necessary, if you’re trying to eat healthy) and ½ a teaspoon of vanilla extract. Spread the “sauce” over your cooled cookie crust. 3. Arrange cut up fruit in any pattern you’d like. We suggest kiwi, strawberries, blueberries and grapes, but any fruit will work. 4. If you’d like, you can drizzle some honey or sprinkle some sugar over your pizza for extra sweetness. 5. Refrigerate for 1 hour and enjoy! Lately, the weather has been, shall we say, less than ideal. It seems like we can't get out from under this cloud, literally and metaphorically. We hate seeing another day come and go with everyone cooped up inside because of the rain, so the team here at Girard Homes came up with a few ideas to brighten up your dreary days. Embrace the rain! Sometimes, all you can do is let the rain come down, so why not enjoy it? Throw on some rubber boots and a jacket and get outside and splash around. Kids (and adults) of all ages will love it. As long as the weather isn't dangerous, we suggest heading out onto the Katy Trail and explore some of the creeks around there! Movie Marathon! This is your typical rainy day activity, so try to kick it up a notch! Make a few extra bags of popcorn, melt some butter in it, grab some candy and get some sodas for that true movie theatre experience. Pick your favorite series to watch (we won't even cast any judgement if it's Twilight) and power through them. Game Day! You can play pretty much any game on your phone these days, but it's nothing like the real thing. The enjoyment and nostalgia you get from actually sitting down and playing your favorite board game with your friends and family goes perfectly with the coziness of a rainy day. We won't lie to you, home ownership can be frightening. It can also be confusing. Bubbles popping and inflating, interest rates changing, and mortgages are all more than enough to turn someone away from home ownership. Despite all of this though, we're here to reassure you that the benefits of owning your home far outweigh those of renting. You can make valuable changes to your home: If you own your home, you can make structural and fundamental changes to your home, which can save you money and increase its value. For instance, you can add solar panels, greatly reducing your energy bill and increasing the value of your home, should you decide to sell. Renters cannot make these changes. You can customize your home: Don't like where the windows are in your rental home? You're out of luck. But, if you own your home you have the freedom to make any change you want. Your home can take on your vision. Paint, flooring, your yard, lighting, you name it and you can make it yours when you own your home. No more dealing with landlords: This one speaks for itself, right? You can claim tax deductions: Homeowners get tax benefits! You can deduct your mortgage interest payments and "eligible expenses". If you make updates to your home, like installing solar panels for instance, you can claim those expenses as tax deductible. Interest rates are low: Interest rates are as low as they'll ever be right now. Secure these low rates while you can now and save thousands of dollars over the life of your mortgage. Capital Gains! : If you make improvements to your home and increase its value, that's known as "capital gains." Later, when you sell your home, you'll be thankful that you invested in it. When you're renting a home, you have no opportunity to see any return on your investment. Mother's Day is just around the corner (tomorrow! ), and the team here at Girard Homes would like to take the time to say a few things to our moms, and to all of the moms out there. Thank you for believing in us. Sometimes it feels like the universe is actively working against us and we don't even believe in ourselves; but you are always there. Always. Thank you for that support, we wouldn't be where we are today if it weren't for you. Thank you for being so understanding. You always seem to understand our problems or issues before we do. Your empathy and advice has gotten us all through some really rough patches. Thank you for also understanding that even though we all want more than anything to be home with you this weekend (and every weekend), we have our responsibilities that require us to be away from each other for a while. We wish we could spend everyday with you. Thank you for raising us to be the adults we are today. We know it wasn't easy. Raising just one of us is enough of a task, but you raised us and our siblings with grace. As young adults, we are a reflection of you, and not to toot our own horns but, we really like our reflections. Thank you for helping us with everything, even if it bores you. Math homework, history exams, college essays, and resumes have all been double and triple checked by you and your red pen. You may have thought that now we're (almost) out of college that you would be able to retire that red pen. Sorry Mom, but you thought wrong. You're constantly being texted and called for your opinion on design options, locations for new homes, print ads and even blog posts. Thank you. Thank you for so many things, but most of all, thank you for loving us. To the Girard Homes moms, and to any mom who may be reading this, thank you for everything, Happy Mother's Day, we love you. Make This The Best Summer Yet! Summer is almost here! Warmer weather and longer days are just a few weeks away and we could not be happier about it! Also looming around the corner though is the dreaded and inevitable summertime boredom. Kids who were spending their days in school will soon be hard pressed to find something to do each afternoon. The team here at Girard Homes has come up with this short list of fun activities to help fight your summertime sadness. Explore Columbia- Columbia has so many parks and trails, you can explore a new one each week! You'll spend an entire afternoon walking and climbing around, you won't want to leave. Girard Homes' favorite park: The Pinnacles Youth Park in Sturgeon. Go For A Swim- Don't forget about the easiest, and arguably one of the most fun summer time activities! There's just something about being in the water that turns everyone into a kid again. Luckily for us, Columbia has 9 public pools so you'll always have a place to go. Girard Homes' favorite pool: Most of the communities we build in have a pool for their residents, but our favorite is the Old Hawthorne pool and clubhouse. Have A Barbecue- What better way to enjoy the weather and kill some time than with a nice cookout? Invite your friends and neighbors for a grand party, or just have a quiet night with your family. Either way, you'll have a great time with some great food. Girard Homes' favorite barbecue recipe: Marinate some fresh salmon and veggies (we love zucchini and squash) in teriyaki sauce for about 30 minutes. Season with salt, pepper, garlic and red pepper flakes (if you're feeling a little adventurous) and grill them up! Join A League- There's still time to register your kids for sports leagues for the summer! Team members will learn the basics of the game, develop confidence and self-esteem, make great friends and have a blast! Girard Homes' favorite sport: Baseball! Our marketing intern is coaching a team this summer through the Douglass Baseball Program! Sign up today! Want to have a great night with your sweetheart but feel like you can't because you're pinching pennies? Don't sweat it! You can have a great, below-budget, date night from the comfort of your own home by following these simple tips! Head to the Grocery Store. Get whatever it is you may need for a perfect night. Want to have a five-star meal? Head over to your local grocery store and buy your fresh ingredients to cook an amazing dinner. Our team loves to cook stir-fry. All you need are a few peppers, onions, some noodles and whatever protein you'd like to add (consider trying teriyaki marinated tofu for a healthy and delicious alternative!). You can cook a tasty meal for less than the cost of one entree at most restaurants, leaving you with enough money to buy some wine or dessert! Make the Old Feel New Much of the allure of going out on a date is getting out of the house and going somewhere new. Not many people want to "get away" by sitting on their same old couch. To combat this, transform your space. Rearrange the furniture, add some string lights for ambiance, light candles or play mood music. Do whatever you can to make your living room feel brand new. Turn Off Electronics. This is just a general date night rule, but it bears repeating. Pay attention to your loved one! If You Still Feel Like You Need To Get Out, Then Get Out. Sometimes you need to leave the house, we get that. Don't feel confined to your home when you commit to having date night at home. Eat outside, take a walk, or go for a ride together. No matter what you do, the most important thing is that you spend time with those who mean the most to you. If you can't you remember the last time you cleaned your pantry out and really did a good job with it or if you ever find a can of food that expired years ago or that you don't even remember buying, it might be time to organize your pantry. If you're like us and you dread even the thought of trying to clean it out, fear not! With these easy tips your pantry will be as good as new in no time! Throw out or donate any food you won't eat. Donate whatever food you can to a local charity. If you're in the Columbia area consider donating to Tiger Pantry (https://tigerpantry.missouri.edu) or the Food Bank for Central and Northeast Missouri (http://sharefoodbringhope.org). Of course, if the food has expired, you should throw it out. Deep Clean. Once you've taken all of the food out, take this time to vacuum crumbs and wipe up any spills. Organize the food by category. Come up with a system that works for you to help you know exactly where all of your food is. Maybe you want to keep bagged, boxed and canned foods all on separate shelves. Or you can section your pantry off by weeknight dinners, quick fixes, healthy foods and junk foods. Whatever works best for you and your family will cut down on the time you spend searching for food. Keep the food you will use most often within reach. Use clear containers. To make everything look a little nicer and to easily be able to tell when you're running low on a certain food, consider transferring all of your goods into clear containers. This way, everything will be a uniform shape and you can fit more on your shelves, too. Get creative! Use Pant hangers as chip clips, folders or cake sheets as dividers, hang a shoe organizer over the door or add a lazy Susan. Try to repurpose other household items anyway you can! Our newest community, South Wind, is located in Ashland, just south of Columbia. Ashland's population is just under 4,000, so it certainly has the "small town" culture, but don't let that fool you, because there is plenty to do in Ashland! Restaurants: Many of the restaurants are independently owned, so no matter where you want to eat, you can be sure that a great deal of pride is taken in each plate. Woody's Pub & Grub- A local favorite! Woody's is a large bar and grill type restaurant that serves american food; burgers, hot dogs and the like. Woody's food is delicious, but it doesn't just end there. The atmosphere is what really earned Woody's its prestige. There are billiards tables, bar games and plenty of outdoor seating. If you want to go somewhere where everyone knows your name, the food is great and the drinks never stop flowing, Woody's is your stop. Copper Kettle- The Copper Kettle is just down the street from Woody's. It too has delicious food, but more of a family atmosphere. All of the food is homemade and sure to leave you full. The Kettle offers all you can eat catfish and shrimp. They offer breakfast, lunch and dinner, your only problem will be deciding what to order (we suggest the pie)! Pizza Haus- This place has tremendous pizza. Everything is handmade, and you can watch the cooks rolling the dough and constructing your special order pizzas. Great for hosting parties and get togethers, Pizza Haus has specials almost everyday. Stop by for a great slice of pizza and to get to know the friendly staff. The Eagle Scoop- Delicious ice cream in a small town, one of our favorite combinations. With so many options, you'll be left with one of the hardest choices ever: which flavor to get. Why not get more than one? You won't regret it. Another Girard Homes team favorite in Ashland is the Cattlemen Days Rodeo. I traditional rodeo with all of the classic hijinks, sure to keep your kids entertained all night. Winter can be a beautiful time, waking up to freshly fallen snow, twinkling lights brightening up the night, and the crisp air that makes everything feel new again are all great. But, winter also brings bitterly cold temperatures and dangerous icy conditions that threaten not only the road, but your home too. The team here at Girard Homes wants to ensure that you're taking the right steps to keep you and your home safe, so we've done our research and made this quick and easy list to help you protect your home from treacherous winter weather. Keep extra batteries around to power all of your essential devices. Just in case the power goes out you'll want to be sure that you have working flashlights, radios, and space heaters. tock up on kerosene or wood. If you plan to use a heating source such as a fireplace or a wood burning stove, you should have more than enough fuel to get you through the storm. Keep extra blankets and coats wherever you go. Again, winter storms, especially ice storms, are notorious for knocking out your power, so staying warm is a necessity. f you can, trim the tree branches near your home. When tree limbs accumulate ice they get weighed down, and this makes them fall, potentially causing damage to your home. nplug all appliances and keep just one light on. Only do this after your power has gone out. If everything is still plugged in and trying to use electricity, the risk of a damaging power surge increases. Keep one light on to be able to tell when the power turns back on. Run water through your pipes, even if it is just dripping. Running water through your pipes will prevent the pipes from freezing or bursting, resulting in costly repairs. Even if your faucet is only dripping, keep it running. We hope you stay warm and safe during this ice storm and the rest of the winter. 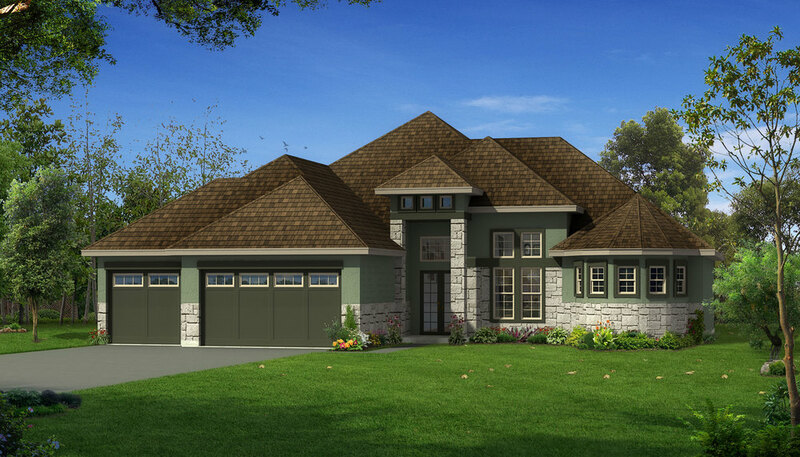 Once the weather clears up, be sure to visit the Girard Homes Model Home at 1100 Shallow Ridge Circle in Columbia, Missouri, or stop by our newest model home opening January 21st at 16053 Talladega Drive in Ashland, Missouri, to see the latest innovations in and powering heating your home. Spring Cleaning Tips For Your kitchen! 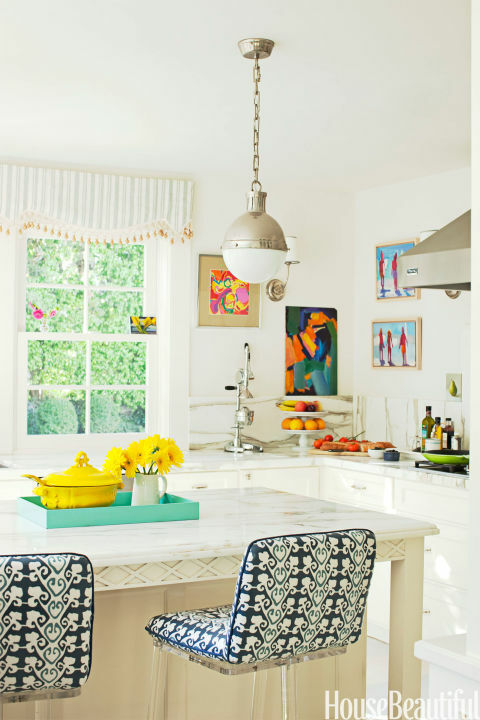 Check out these awesome spring cleaning tips for your Kitchen while also taking a look at some beautiful custom kitchen Ideas! The Fall Parade of Homes is Here! It's that time of year again! The time of year when in between baking pumping pies and sipping on a nice warm cup of hot chocolate, you can look out the window of your new home to see the beautiful fall colors painted across the horizon. This also means that it is time for the Columbia Home Builders Association's Fall Parade of Homes! Join us Saturday October 17th and Sunday October 18th at our model home in Old Hawthorne. We will have fall themed snacks and beverages! Open Both days during our normal hours! 10 - 6 on Saturday and 11 - 5 on Sunday! See you there! A big thanks to the Columbia Business Times who wrote the following article about us for their first Q&A subject. Our entire Girard Homes team truly is proud of each home that we build and we hope that you will consider us for your next new home! Zack Girard is a busy young man. The MU senior and Trulaske business school ambassador recently launched a home building business, Girard Homes, in Columbia. While getting his degree, Girard is carrying on a family legacy of home building. Get to know Zack in the first installment of our CBT Q&A. CBT: So tell us a bit about the new business. Zack Girard: Sure. Girard Homes is a family owned and operated custom and semi-custom home building company. I started this company just over a year ago with my parents, Greg and Sue Girard. As a family, our passion is and always has been to provide customers with the highest quality homes that allow them to live an easier, healthier and more energy-efficient lifestyle. At this point, my major role in the company is sales and marketing, plan design and estimating. CBT: What made you want to start in home building? ZG: Home building has always been the family business. My grandfather, Howard Buescher, had a very successful career with Ryan Homes. As he was retiring, my mom was graduating college in Florida, and the two of them got together to start their own company down there. My grandfather, my mom and a few of her siblings grew that company to be a big private builder, having homes in several markets throughout the U.S. Now, I’m following in those foot steps by starting my own company with my parents. It was an appealing opportunity for me because of the fact that I get to spend every day working with my family building homes that we are all very proud of and passionate about. CBT: What challenges have you faced in getting the business started? ZG: One of our major challenges up to this point was just getting our name out there and letting people know who we are and what we do. A lot of this problem was solved when we opened our model home out in Old Hawthorne. Having this model home open to the public 7 days a week has really given us a lot of exposure, and it’s helped people to get a good feel for the style and price ranges of homes that we build. CBT: What’s going to happen when you graduate? ZG: After graduation, I plan to stay here in Columbia to continue to develop and grow Girard Homes. Within the next four years, we would really like to expand our company to include the Jefferson City and Kansas City markets. CBT: So do you have any free time? At all? ZG: I do have a little bit. In my spare time I like to do some team roping. I have a horse here in Columbia at a local boarding barn, which is where I end up spending a lot of my free time. I’m a big Mizzou football fan, so if it’s football season, you’ll find me out around Faurot Field tailgating and watching the games. I also enjoy a good boating day at the Lake of the Ozarks with a good group of friends. The CBT wants to learn more about leaders and up-and-comers in our community. If you or someone you know would be a good fit for the CBT Q&A, email matt@businesstimescompany.com. While you are out enjoying the weather this weekend swing by one of our beautiful open homes in the Columbia Missouri area! This beautiful 4 Bedroom, 4 Bathroom, 3300 Sq. Ft. home will be open Saturday 6/5/15 and Sunday 6/6/15 from 12 - 2 PM each day. For more information on this property click here. This gorgeous 4 Bedroom, 3 Bathroom, 2,650 Sq. Ft. home is almost complete and will serve as our new Girard Homes model center for the beautiful golf corse community of Old Hawthorne. This home will be open Saturday 6/5/15 and Sunday 6/6/15 form 11 AM - 3 PM each day. For more information on this property click here.